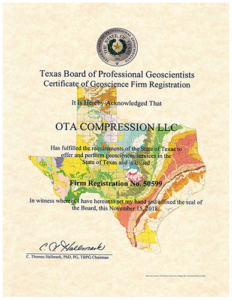 OTA Environmental helps clients minimize business and environmental risk with critical due diligence support. We are able to respond to demanding transaction deadlines and deliver timely and valuable assessments for key decision makers. Evaluating assets based on restrictions and representations in environmental documents and permits. Conducting Phase I Environmental Site Assessments for prospective buyers, which characterize potential environmental liabilities (e.g., spills, leaks, or groundwater contamination) with respect to key environmental regulations such as Comprehensive Environmental Response, Compensation, and Liability Act (CERCLA)/Superfund. Preparing Enhanced Phase I reports, which combine traditional Phase I components with a regulatory compliance review. Performing Full Risk Impact Evaluations, which consider economic factors by examining current and future applicable environmental requirements and their impacts on operational costs and expansion opportunities. Our experienced staff supports due diligence assessments for owner/operators, financial institutions, and law firms as representatives of buyers and sellers during asset transfers. As an integral part of the due diligence team, we strive for innovative solutions that reduce environmental risks for sellers prior to a transaction. Similarly, we utilize our environmental and business knowledge and technical resources to identify and quantify potential risks and expenditures for buyers and develop plans to minimize or eliminate those risks post-transaction.